*Note, I have not seen this property first hand. This is currently the lowest priced 2 unit building within a half mile of the property in Palmer Square. There are other buildings that have sold recently for a bit less but I like this building because it has a finished attic and a finished basement. The attic actually appears to have been used as an in-law apartment. Not sure how it is combined with the 2nd floor but that's usually an easy fix for an architect. The basement looks like it has less than 7' ceiling height but for a rental unit, that's ok. This isn't a fix & flip property for profit but it could be a good opportunity for an owner-occupy buyer who wants a small project and lots of space to work with. I think it also makes sense for a mid to long-term buy/hold investor. I think this sells fast because of the neighborhood. Hard to say if it will sell over ask. Let's go with yes. At $169,900, a $100,000 - $125,000 rehab budget would make this a very nice owner-occupy 2 unit building. If keeping strictly as rentals you can save money with cheap finishes and fixtures throughout. The units will rent quickly in either case. *OPEN MARKET ACCESS references buying opportunities available on the open-market that could provide for above average returns relative to similar properties currently available. Looking for insight on similar buying opportunities? Contact Brent Hall to review your specific buying criteria. 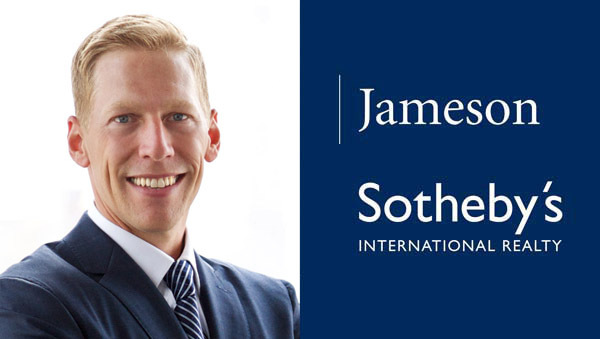 Brent Hall and Jameson Sotheby's International Realty have no direct or indirect interest in this listing/property. This is not a recommendation to purchase the above referenced property. Information has been obtained from the MLS and/or other public sources that are deemed reliable. Brent Hall is not acting as owner's designated agent and makes no warranties or representations as to the accuracy or completeness of this information.